Technology ages rapidly. We're conditioned to refresh our iPhones every one or two years, and why wouldn't we? New iPhones are fast, and our old ones inevitably slow down, sometimes to an unusable degree. However, it turns out, there's something we can do about that, and it doesn't involve buying a new iPhone at all. The simple solution? Replace the battery. Sure, iPhone batteries degrade — who hasn't complained about their iPhone's battery life at one time or another — but why would replacing the battery improve the speed of the device? If it's slow, that's just the way it is, right? Wrong. According to Geekbench and confirmed by Apple, replacing the battery in your old iPhone can actually improve your performance significantly. The reason, it seems, was first baked into iOS 10.2.1, where Apple included a change to limit performance when the battery degrades enough. This persists all the way up to iOS 11.2. 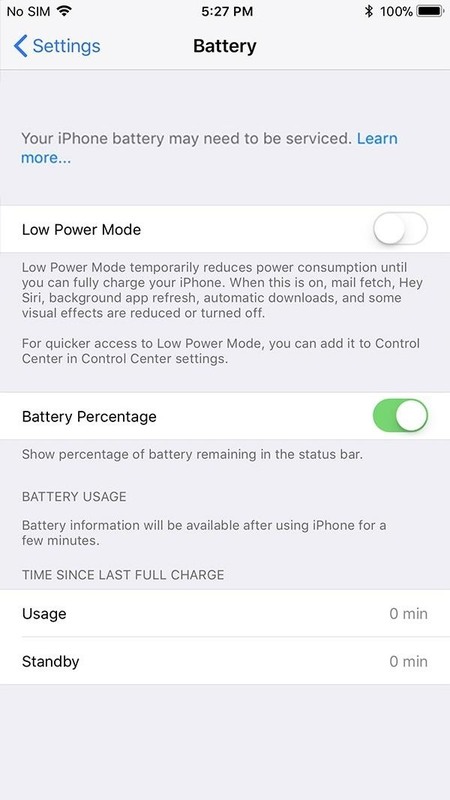 As tests show, once your iPhone's battery degrades beyond a certain point — we don't know which point that is yet — iOS will throttle your iPhone's performance in order to increase battery life. On the one hand, you're getting more use out of your iPhone than you normally would. On the other, you experience noticeable performance hiccups. Users could easily tell the difference between the speed of their iPhone versus the speed of another of the same model with a new battery. That's arguably a satisfying response. If, after a period of time, your products' batteries cannot handle the maximum power of the CPU, it makes sense to throttle performance to avoid shutdowns. However, what's odd is Apple's silence on this "feature" until being called out on it. A cynic would say many users would assume their iPhones were slow because of old age, leading them to purchase a new model, even if they didn't really need to. More iPhone purchases mean more money for Apple, obviously. Maybe that's not what Apple had in mind when implementing these performance drops in iOS, however, it's not a baseless theory. Apple has included a way to tell if your battery is need of service in iOS 10.2.1 and higher. Just open up your Settings, then select "Battery." 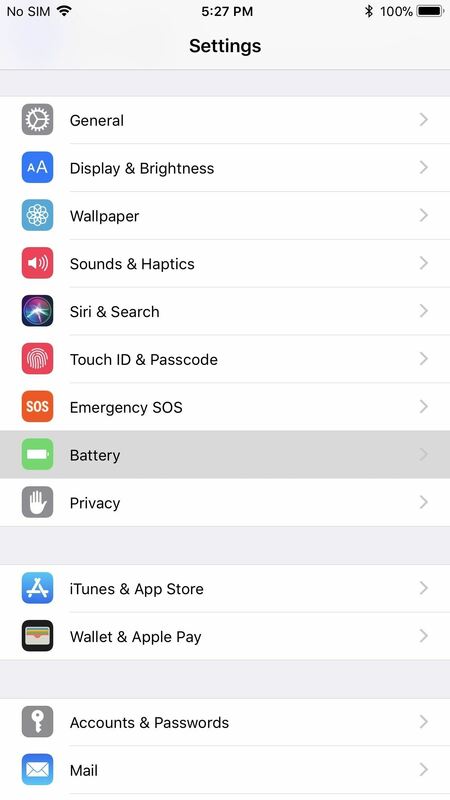 If there is a message up top saying "Your iPhone battery may need to be serviced," you'll know for sure that you need a new battery. If you don't see the message above and suspect you still might be having battery issues, you can try using the Geekbench app ($0.99) to check your iPhone's performance to help you come to a more informed conclusion. Now that you know a new battery may solve your slow iPhone, that may be the best route to take unless you want to pay a ton more for a newer iPhone model. If your iPhone is still under its one-year warranty, take it to Apple to get it replaced free of charge. If it's out of warranty, you can still take it to Apple, but note that they charge $79 plus shipping and taxes. You can visit a local Apple Store or start a request online to send it into an Apple Repair Center. You can also take it to a third-party repair shop if you're crunched for time. These shops are likely more expensive, but they have a faster turnaround in most cases. However, you can also get into the DIY spirit and do the repair yourself at home. There are some really good battery replacement guides on iFixit for the iPhone SE, iPhone 6, iPhone 6 Plus, iPhone 6S, iPhone 6S Plus, iPhone 7, and iPhone 7 Plus, as well as other iPhone models. They even sell batteries with toolkits for cheaper than Apple or any third-party repair shop will charge. If you already have the tools needed, you can buy a battery elsewhere online, just make sure to do your research that the seller is trustworthy and giving you a legit battery that won't die in a week. Note that you may damage the water/dust-proofing on an iPhone 7 or higher if you do your own repair. To prevent this, you can get replacement adhesive strips and instructions from iFixit as well. Alternatively, you could use something like jewelry glue to seal the iPhone 7 or higher back up, but we'd recommend the strips if you're new to iPhone repairs. APPLE LIED FOR YEARS AND THEY ARE STILL LYING. My iPad Mini slows down by 20-50% with any system update. The same with my iPhone 5s. Many iPhone/iPad/MacBook owner I know has the same observations. It doesn't started with iphone 6. They are doing it much longer. And for many more devices. Shame on you Apple. What you do is disgusting. You are selling devices and stealling it from your custommers. My iDevices was great ultil you broke it. The best way to speed-up iPhone and iPad? DO NOT INSTALL ANY SYSTEM UPDATES.